The junior Soothenders celebrate their win in the Yule Log contest in Stromness this afternoon. The south end of Stromness rejoiced today, winning both the junior and senior Yule Log contests. 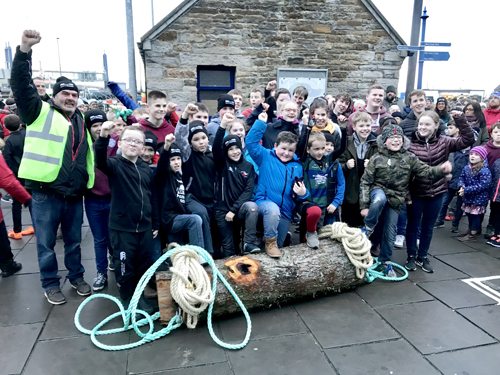 The spectacle — a revival of a street game — drew a large crowd to Stromness to see the two ends of the town fight in a tug of war over a log. For the first time ever, a junior Yule Log pull took place, and it was the Soothenders, after a tense battle, who were celebrating. That led to the senior contest, and while it wasn’t quite as straightforward as last year, they wrapped up the win, reaching the bottom of Church Road in around 20 minutes. Both contests were streamed live on The Orcadian Facebook page and they are still available for viewing. 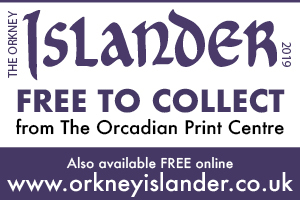 Next Post>Happy New Year from The Orcadian!